This article was originally published in TheConversation. 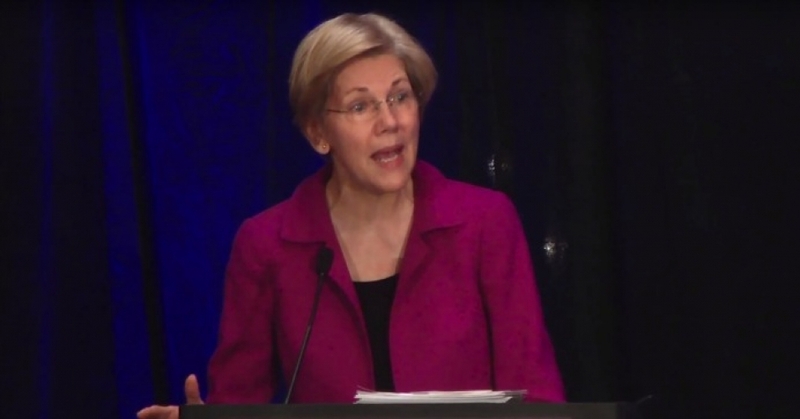 Senator Elizabeth Warren has faced battles with Republicans since the CFPB was created. Image via YouTube screen shot. Republicans in Congress and the White House have been very blunt about their desire to gut the Consumer Financial Protection Bureau – and the threats to it are mounting. The agency was launched in 2011 in the aftermath of the financial crisis as part of the Dodd-Frank Wall Street Reform and Consumer Protection Act. The goal was to protect consumers from deceptive or misleading practices in the financial industry. At the moment, Republicans seem focused on blocking CFPB rules they don’t like, such as one that would have prevented the use of arbitration clauses in financial contracts, making it easier for people to band together to sue banks for wrongdoing. Separately, the Trump administration has been heavily critical of the CFPB, and its director is said to be considering leaving before his term expires next July, which would allow the president to pick his replacement. So what would you miss if the agency suddenly disappeared or got gutted? In short, a lot. We base this conclusion on the work the three of us have done in recent decades. One of us (Sovern) has been writing about consumer law for more than 30 years, while the other two of us direct a legal clinic that represents elderly consumers. We’ve seen the worst of what financial companies can do, and we’ve also witnessed how the CFPB has begun to reverse the tide. If you are one of the more than 29 million consumers who have collectively received nearly US$12 billion back from misbehaving financial institutions because of the CFPB’s efforts, you already know its value. But even if you are not, you have probably benefited from the bureau’s existence. Before Congress created the bureau, there was no federal agency that made consumer financial protection its sole mission. Rather, consumer protection was rolled into the missions of a bunch of different agencies. And, as we saw during the financial crisis, regulators often gave it a back seat. Congress, for example, gave the Federal Reserve the power to bar unfair and deceptive mortgage lending in 1994. Yet the central bank considered consumer protection a backwater and didn’t use that power until 2008 – too late to prevent the Great Recession. Congress took it away two years later when it passed Dodd-Frank. The Office of the Comptroller of the Currency regulates banks but was so preoccupied with ensuring lenders were safe that it failed to protect consumers from their predatory subprime mortgages – so much so that it prevented states from doing so too. And now President Trump has put a former bank lawyer in charge of it. The Federal Trade Commission, which is tasked with fighting deceptive business practices, lacked the power to prevent such dangerous lending. This meant consumer protection on financial matters fell through the cracks. Wells Fargo’s recent fraud scandal is a case in point. In the early 2000s, Wells Fargo employees began opening fake accounts in clients’ names without permission, leading in some cases to lower credit scores and a variety of fees. The bank ultimately opened millions of fraudulent bank and credit card accounts before the scheme came to an end last year. But as early as 2010, before the CFPB was set up, regulators at the OCC were increasingly aware of what was happening at Wells Fargo thanks to hundreds of whistleblower complaints. The OCC even confronted the bank, yet failed to take any action despite many red flags, according to an internal audit. It wasn’t until the Los Angeles city attorney and the CFPB became involved years later that Wells Fargo took forceful action to stop the fraud. The regulators fined Wells Fargo a total of $185 million and forced it to refund fees it had charged customers and hire an independent consultant to review its procedures. More importantly, they sent a clear message to other financial institutions: Cheat consumers and you will face the consequences. Since its inception, the bureau has acted repeatedly to stop financial institutions from harming consumers. It blocked debt collector attorneys from suing consumers based on false information. It discovered systemic problems with consumer credit reports and forced companies to correct errors. It compelled credit card companies to refund illegal fees. It protected borrowers from unlawful student loan servicing practices. It made lenders repay consumers they discriminated against. It recovered money for veterans who complained of abusive financial practices. When the bureau began publishing consumer complaints on its website, companies that might previously have ignored negative feedback paid attention. Financial institutions have responded to complaints to the CFPB more than 700,000 times, often by providing a remedy to the consumers. Besides protecting consumers, however, Congress had a second motive in creating the bureau: to help prevent the kind of mortgage lending that helped cause the Great Recession. To that end, the bureau has adopted rules that help consumers to understand their mortgages – something that often wasn’t possible under the previously misleading mortgage disclosures. It also issued regulations to prevent consumers from taking out mortgages that they couldn’t repay. And after borrowers take out a mortgage, CFPB servicing rules establish the procedures servicers must follow when communicating with borrowers, correcting errors, providing information and dealing with loan modification requests. Two of us have personal experience with one of the bureau’s new mortgage rules, which powerfully illustrates the value of the CFPB. In 2014, Alice, a client of our law school clinic, was struggling to pay the mortgage on her home – which she had refinanced a few years earlier – after a stroke forced her into retirement. Our clinic helped her apply for a modification of her loan. But within weeks, instead of acknowledging Alice’s application, the loan servicer summoned her to court to begin foreclosure proceedings in violation of CFPB servicing rules. Fortunately, our clinic was able to rely on those rules in getting the foreclosure action dismissed. Alice got her loan modified and remains in her home. This reveals how the bureau is particularly important to protect vulnerable consumers, like the elderly, who are frequently targeted by fraudsters and predatory lenders because of their cognitive and other impairments and because they often have accumulated substantial assets. The CFPB is the only federal agency with an office specifically dedicated to protecting the financial well-being of older adults. The bureau has brought cases against companies that attempted to take advantage of seniors by, for example, misrepresenting the interest rates on pension advance loans or deceptive advertising. In 2015 alone, consumer complaints to the CFPB brought relief to more than 600 older Americans just through debt collection problems. The bureau has also worked to prevent financial abuse of the elderly, estimated to cost seniors as much as $36 billion annually. The CFPB has educated financial institutions, nursing facilities and others about recognizing and stopping elder financial abuse and exploitation. Given Alice’s ill health, the consequences for her might have been disastrous if she had been thrown out of her home. But now she – and all of us – face the loss of the CFPB’s aid. The CFPB is under attack from Republican members of Congress who believe more in lifting bank regulations than in protecting consumers. Some members have proposed eliminating the agency altogether. The House of Representatives has passed a bill that would cripple the CFPB by, for example, taking away the power it used to fine Wells Fargo for opening illegal accounts and concealing its complaint database from public view. In other words, it would force the bureau to sit idly by as financial institutions lie to consumers. Even if the bureau survives, it may be less protective of consumers when its current director, Richard Cordray, leaves. His term expires next summer, and he may step down even sooner. Then we might see a former banker or bank lawyer put in charge, just as has happened at the Treasury Department and comptroller’s office. Nearly every American has or will have a loan or bank account, a prepaid card, credit card, a credit report or some combination of those, and so has dealings with a financial institution policed by the CFPB. But few of us read the fine print governing these things or can understand it when we do. That gives the companies that write these agreements the ability to draft them to suit their own interests at the expense of consumers. Similarly, we do not always know when a financial institution takes advantage of us, just as Wells Fargo customers did not always know that it had opened unauthorized accounts that lowered their credit scores. Consumers need protection from misbehaving companies. If the bureau is eliminated, significantly weakened or starts protecting banks rather than consumers, all consumers will suffer. This is an updated version of an article originally published on July 10, 2017. 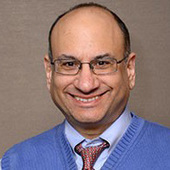 Along with three co-authors, Jeff Sovern received a $29,510 grant from the American Association for Justice Robert L. Habush Endowment and by a grant from the St. John’s University School of Law Hugh L. Carey Center for Dispute Resolution in 2014 to study arbitration. It resulted in an article. Along with Professor Kate Walton, he received a grant from the National Conference of Bankruptcy Judges Endowment for Education to study debt collection, resulting in another article. He is a member of the National Association of Consumer Advocates. 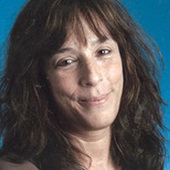 Ann L. Goldweber is affiliated with NACA as a member. 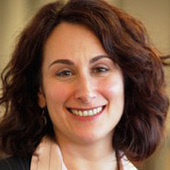 Gina M. Calabrese is affiliated with the National Association of Consumer Advocates, New Yorkers for Responsible Lending, and the Association of the Bar of the City of New York (former chair, Committee on the Civil Court). This entry was posted in Banking & Lending Issues, Civil Rights, Corporate Personhood, Corruption, Economics, Education, Government, Housing, Income Inequality, Social Justice, Women's Issues, Workers' Issues and tagged Atrocities, Capitalism, CFPB, Civil Rights, Consumer Finance Protection Bureau, Corruption, Dodd-Frank, Donald Trump, Economics, Education, Equality, Federal Reserve, Income Inequality, Republican Party, Richard Cordray, social justice, student loans, Wells Fargo, Women's Issues, workers' issues on October 30, 2017 by MNgranny.